Carpets and rugs are simple additions to a home that can make it instantly look modern, comfy and well-designed. But as any homeowner will know, the floors are hardest hit by foot traffic, and laying down carpets and rugs on the floors means that they will be bearing the brunt of the entire household's comings and goings. Soil, dust, dirt, and all kinds of gritty particles can settle and get buried deep into carpet fibres, so regular vacuuming — about once a week in normal areas, and more than once a week for high-traffic areas — is in order. Take time with each pass so that you can be sure to vacuum up more dirt. Make more careful passes over areas where people always move their feet, following overlapping crisscross patterns so you can be sure to get more of the grime. Test cleaning agents before use. There are all kinds of products available that are specially designed for carpet cleaning, but keep in mind that there are many different kinds of fibres used and you never know how the combination of materials in your carpet will react to a particular cleaning product. To stay on the safe side and prevent any potential damages to your carpet, test the cleaning product on an inconspicuous area to determine that the product won't discolour or damage the rug. Only when you've proven the product safe can you use it on the entire carpet. Clean up spills and spots immediately. There's no way around it — your carpets and rugs are sure to suffer spills and spots as people walk all over it while carrying all kinds of things: food, drinks, hygiene products, mud from the garden, urine from your pets, and all other kinds of nastiness. 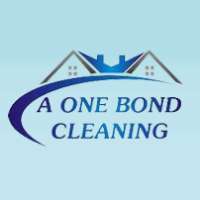 Your best chance at successfully cleaning up the spills and preventing permanent stains lies in addressing the problem right away, while the spill is fresh. Remove as much of the substance as possible and then blot up any remaining liquids or scrape off any solids. When using commercial cleaners or homemade cleaning solutions, take care not to rub the cleaner into the carpet, since this will push stains further into the fibres. Let the solution sink into the spot, and then work from the outside of the stain toward the middle of the spot so you won't spread the stain to other areas. When done, blot up all the excess moisture. Different carpet stains will require different cleaning solutions and methods to be eliminated completely. To remove blood, for example, you need to blot the stain as much as you can first. Then mix 1 teaspoon white vinegar, 1 teaspoon mild detergent, and 1-quart warm water. Apply this solution to the spot, let it dry, apply dry cleaning fluid next, let it dry again, and then vacuum the carpet gently. Chewing gum, on the other hand, calls for pressing an ice cube against the blob of gum to harden it, and the pulling off the gum. 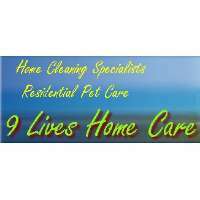 You can check home improvement websites and blogs that provide handy homemaking tips for appropriate homemade cleaning solutions for every imaginable carpet stain. 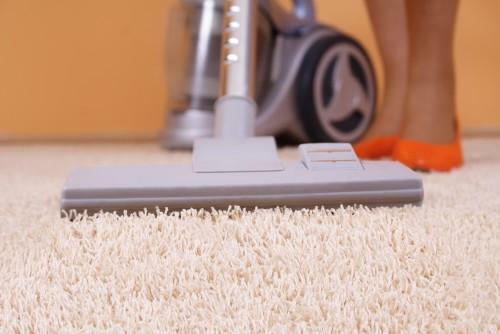 Practice simple habits to avoid leaving dirt on the carpets. One of the best things you can do to keep your carpets and rugs clean is to stay away from doing things that will naturally introduce dirt and stains to them. When you arrive home from work, take off your shoes at the door and wear slippers that are used only inside the house. This prevents you from tracking dirt on your shoes all over the carpet. Inspect your pets' paws if they have just come from a walk outside before letting them inside the house. To keep rugs looking fresh and vibrant, try not to expose them to direct sunlight coming in from the window as this can cause colours to fade. 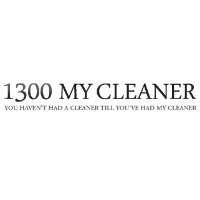 And if all else fails, have the number of a reliable carpet cleaning service handy if you need heavy-duty cleaning for your rugs and carpets.